Vanity Fair star Olivia Cooke has said she thinks there is not enough sentimentality in the world and people have become too cynical. Vanity Fair star Olivia Cooke has said she may not have had the same career path if she had stayed in the UK because women do not get the same opportunities as men. The star of ITV’s upcoming drama Vanity Fair has said she focused her career on America because her northern accent held her back in the UK. Ready Player One star Olivia Cooke has spoken about her nerves at playing Becky Sharp in a new adaptation of Vanity Fair. 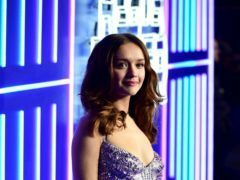 British star Olivia Cooke has spoken about her first meeting with Steven Spielberg ahead of her starring role in Ready Player One.